Editing my screenplay is a long process so, in the meantime, I have been searching for images, music, and films that encapsulate the look and feeling I want in my movie. Like I mentioned before I said I wanted a Wes Anderson Esq movie, but there’re other things I’m grabbing inspiration from. For example, I am a huge fan of the French New Wave, I really love the dynamic cuts and interesting camera angles, this is something I would like to do with my movie. The film movement was intentionally unconventional. I want to film orthodox scenes in interesting ways but in a way that doesn’t take away from the film. I also really want my film to have the feel of an 80’s coming of age story; this could be because I just rewatched Stranger Things. 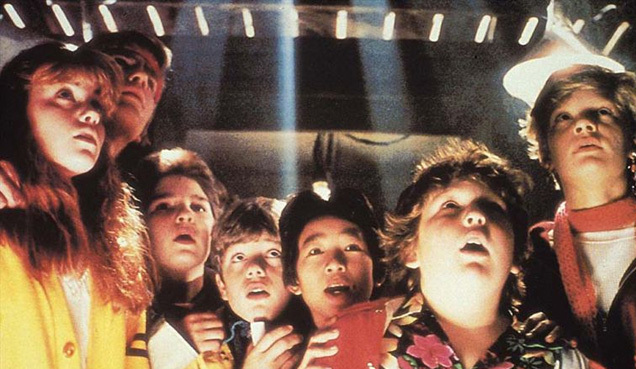 There’s something about the movies that came out during that decade that had a certain charm. Directors like John Hughes really knew what it felt like to be a teenager and they translated it so well on screen; I hope my movie has that same feeling. I think the 2 movies that encapsulate all the things that I’m looking for in my movie are Diary of a Teenage Girl directed by Marielle Heller and Dope directed by Rick Famuyiwa. The first one is about a 15-year-old girl growing up and discovering her sexuality, set in 1970’s San Fransico. It has that coming of age aspect and old style aesthetic that I’m looking for. The format of the movie is very similar to what I’m looking for as well, it has the “inner thoughts told through voice over” aspect that I plan on doing and it’s about a teenage girl growing up and figuring out life, which is very similar to the narrative I want to tell. 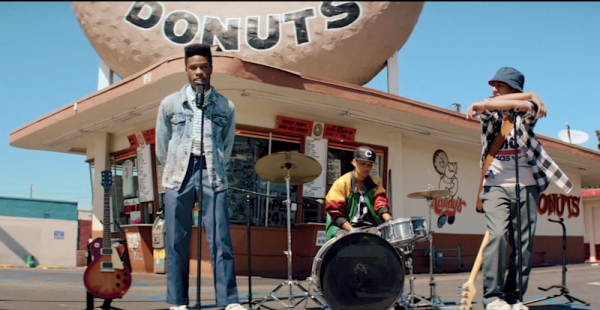 Dope is about a high school student who encounters a drug dealer at a party and the events that follow. This movie also has a similar format that I would like use; it uses constant narration and the art direction is very similar to what I want. Besides movies, I have also found inspiration in photos and music. I’ve been listening to a lot of Tame Impala, I like the psychedelic feel their music has, and I think it could add a nice flare to the movie. I also think Vampire Weekend’s entire discography could be the soundtrack to the movie. Their music is so upbeat and fun that I think it fits the movie perfectly. I’m also drawn to a lot of oldies, like a lot of 90’s hip-hop. I would love to have some Tribe Called Quest, De La Soul, or Fugees throughout (in a perfect world I could use all these artist’s music but I’m broke so that’s not a possibility). For images, I just look on Tumblr and find images that I would like the art direction to go. I want the colors to be over saturated, a lot of natural scenery, and I want there to be a sense of simplicity within the scenes so the audience is focused on the characters. I have many ideas for the film and I’m excited to see how everything plays out. “Breaking the Rules.” Youtube, i.ytimg.com/vi/0R7R0JHvvgo/maxresdefault.jpg. Accessed 18 Sept. 2016. 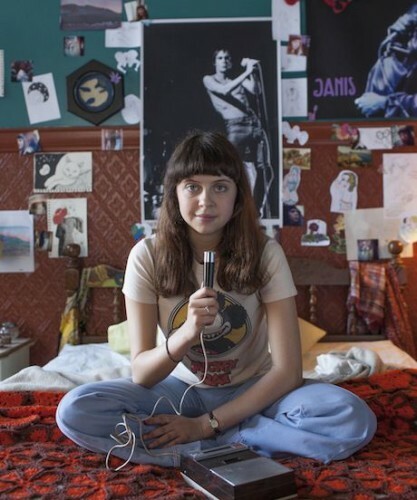 “Diary of a Teenage Girl.” BtchFlicks, http://www.btchflcks.com/wp-content/uploads/2015/06/image-e1433183254432.jpg. Accessed 18 Sept. 2016. “Dope.” Corrientelantina, corrientelatina.com/wp-content/uploads/2015/06/dope.png. Accessed 18 Sept. 2016. “Movie.” The Odyssey, az616578.vo.msecnd.net/files/2016/07/31/636055955513037869162211565_movie.jpg. Accessed 18 Sept. 2016. “Overview of the Goonies.” Creative Alliance, http://www.creativealliance.org/sites/default/files/events/2015/05/Untitled-1_23.jpg. Accessed 18 Sept. 2016. “Pretty in Pink.” FastCoCreate, b.fastcompany.net/multisite_files/fastcompany/imagecache/slideshow_large/slideshow/2016/02/3057056-slide-s-2-pretty-in-pink-anniversary.jpg. Accessed 18 Sept. 2016. This entry was posted in Visual and Performing Arts and tagged French New Wave, Marielle Heller, Tame Impala, Wes Anderson, westtown school on September 19, 2016 by amaanstewart. While I was reading the first half of this post I thought I would recommend Dope to you. I’m glad you have already seen it, I personally really liked the movie. The ending was pretty powerful and I think if that it what you are going for, then it would make for a very interesting story! It’s interesting to see you telling us about your preference regarding different elements in a movie as a moviemaker. I’m really looking forward to seeing your final product and I’m also curious about how could you make your movie’s texture into the 80’s feeling? I hope your project is coming along well! Do you use music as an inspiration for the film as a whole or only for soundtrack purposes?